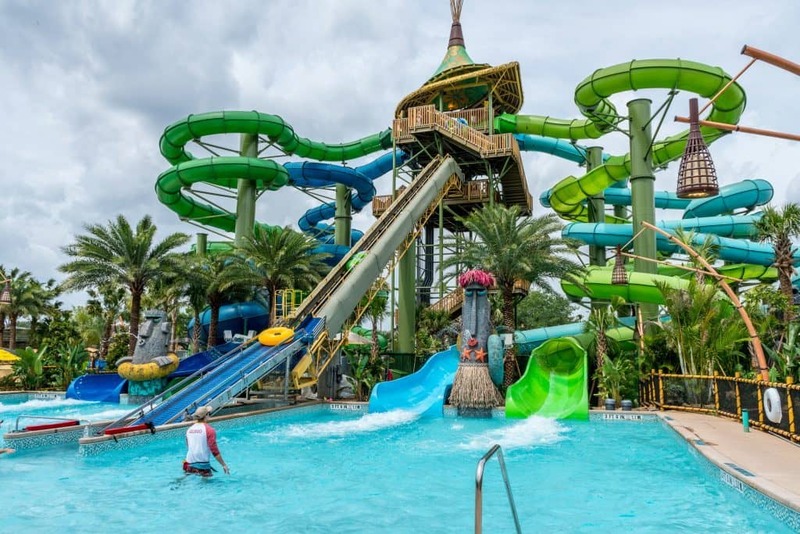 Tonga: 42 inches; must be 49 inches to ride alone; one to two riders; 300-pound single-rider max; 450 pound combined weight; has Express Pass access. Raki: 42 inches; must be 49 inches to ride alone; one to two riders; 300-pound single-rider max; 450 pound combined weight; has Express Pass access. 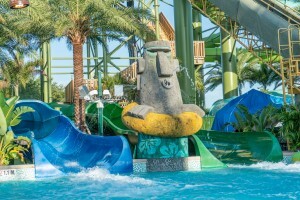 Grab your inner tube – single or double-rider – and race down either Tonga (the green water slides) or Raki (the blue), which offer slightly different twisty experiences. 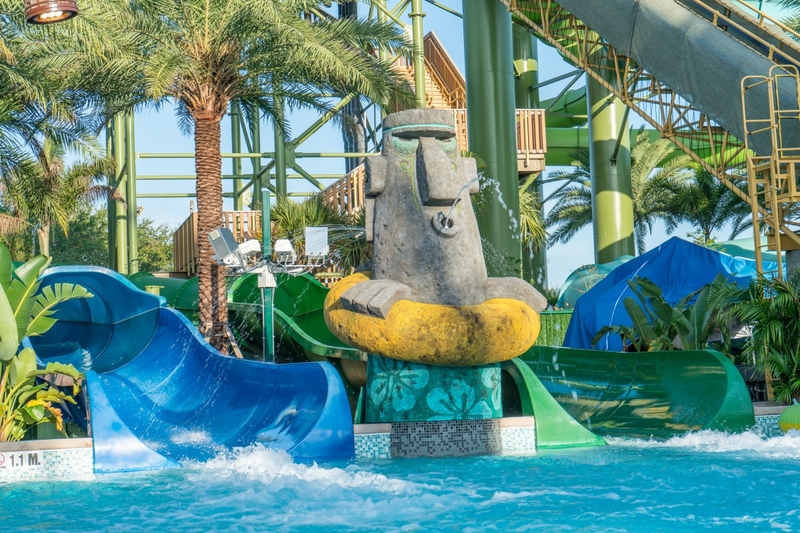 Along the way, “mischievous” Tiki statues will attempt to zap you with jets of water when you least expect it. Tonga: 2 out of 5. Raki: 3 out of 5. The Tonga slides’ entry point is to the left, while Raki’s are to the right. 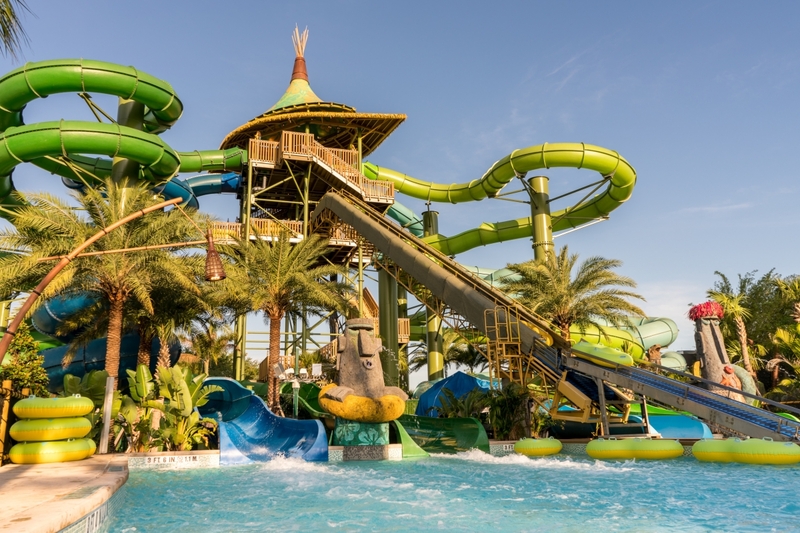 If you’re looking for a faster and more intense experience, you’ll want to hop on Raki’s water slides. 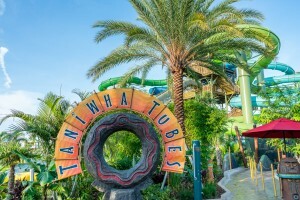 The Waturi – Volcano Bay’s fictitious denizens – were inspired to craft Taniwha Tubes’ serpentine slides by a grove of abnormally tall pukas, with their twisting roots. Tonga and Raki of Taniwha Tubes originally started out life as just one attraction, called Taniwha Tubes; it wasn’t until May 23, 2018 that Universal opted to split them in two.